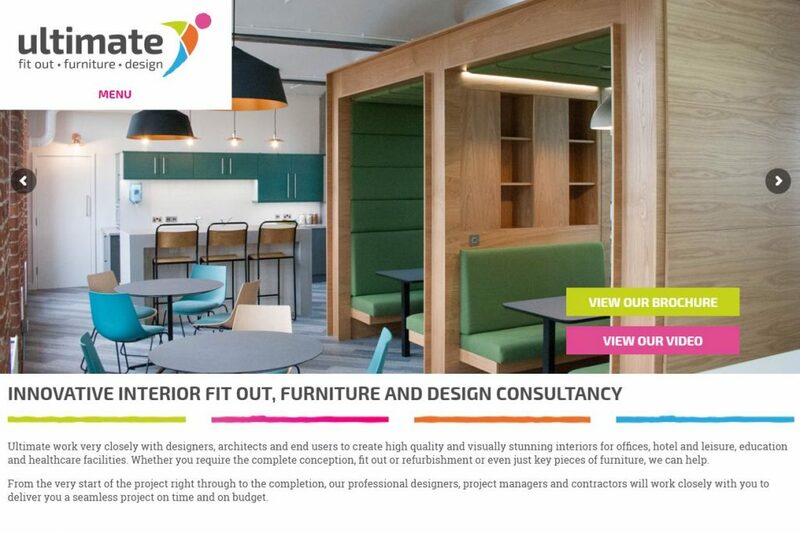 Ultimate Group create high quality and visually stunning interiors for offices, hotel and leisure, education and healthcare facilities, providing complete conception, fit out and refurbishment. The company approached Bluehoop Digital with a precise requirement to get more business leads from the website. An analysis of the traffic to the Ultimate Group website showed us that there was a huge scope to increase the amount of potential customers visiting the website. We embarked upon a very successful search engine optimisation campaign which has resulted in many more, regular, enquiries being made as a result of hugely increased, targeted traffic to the website. Ongoing, Bluehoop Digital have been engaged in developing the website to increase conversion rates, showcasing the work that Ultimate produce. The team at Bluehoop Digital were very thorough in setting up our search engine optimisation campaign. From the time that they started it was just a few weeks before the phones started ringing with new business enquiries. We’d recommend the team at Bluehoop Digital for anyone looking to get new business through search engine optimisation.